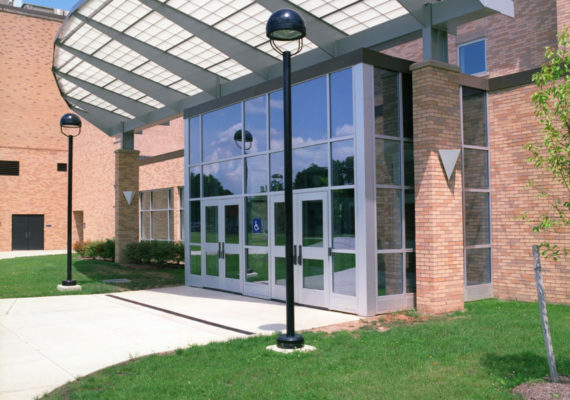 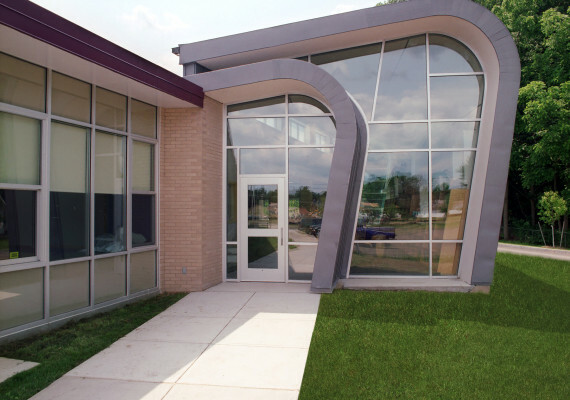 The project was undertaken to strengthen the facilities for all three educational programs in this K-12 building. 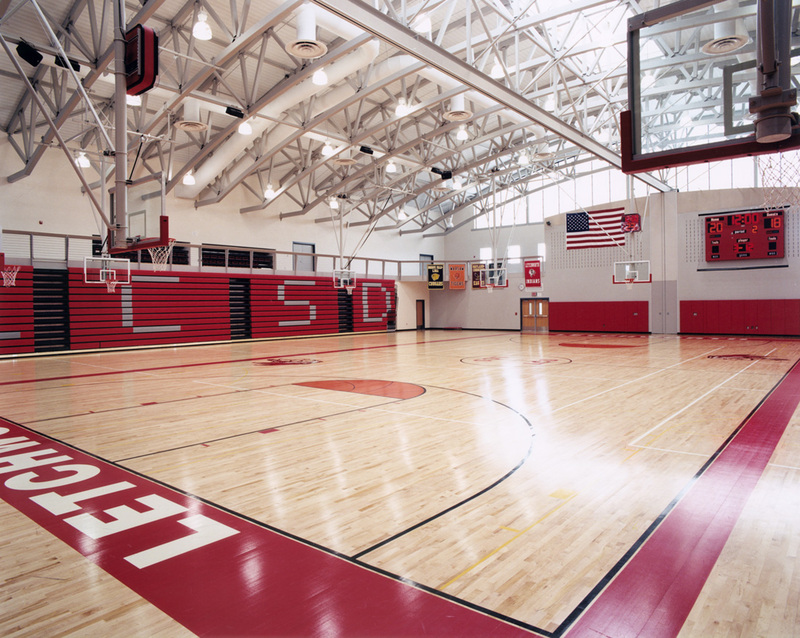 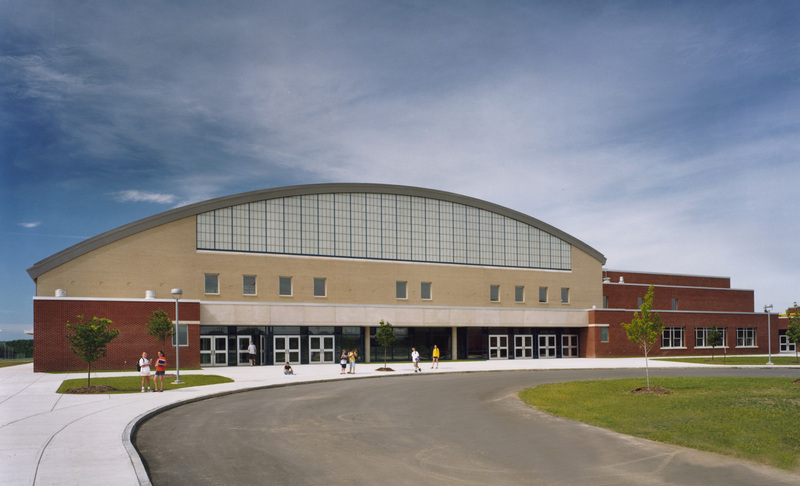 The high school received a four-station gymnasium with a running track and fitness center. 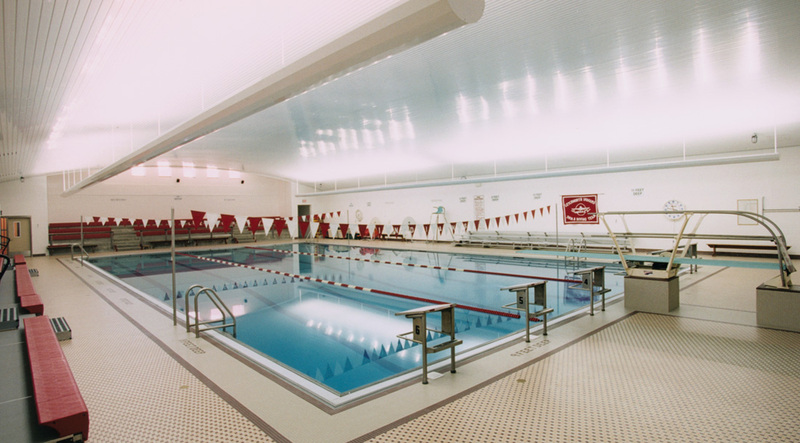 The existing swimming pool was renovated and spectator seating added. 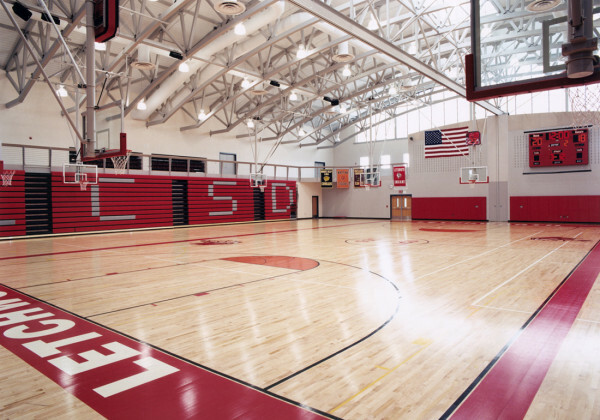 Outside, 12 physical education fields were created. 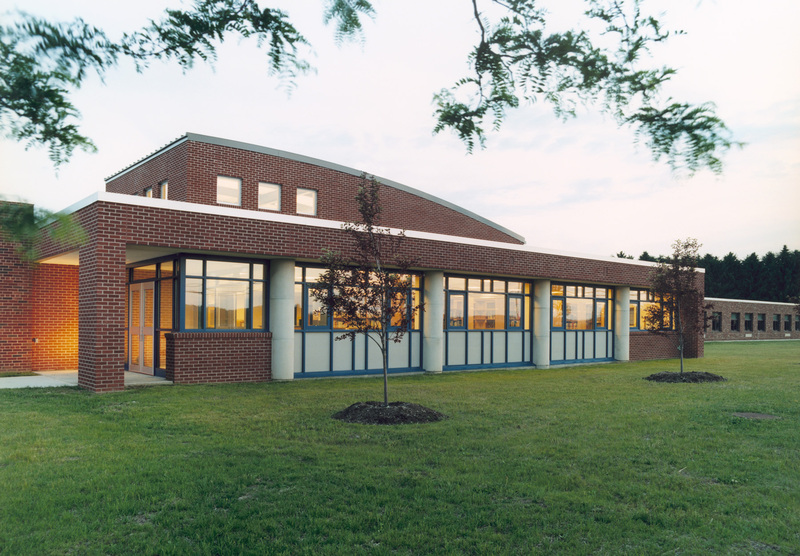 Academic programs were provided with a two-story laboratory and classroom addition, including a greenhouse. 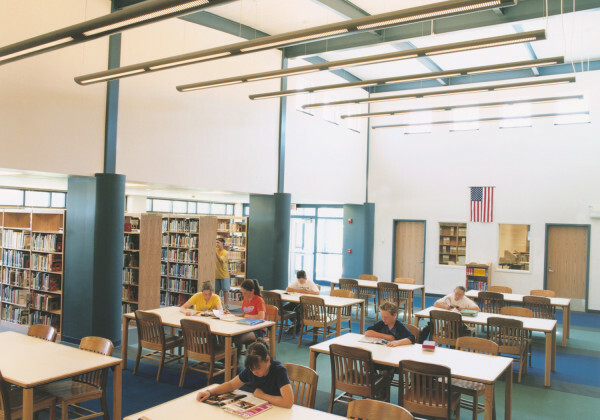 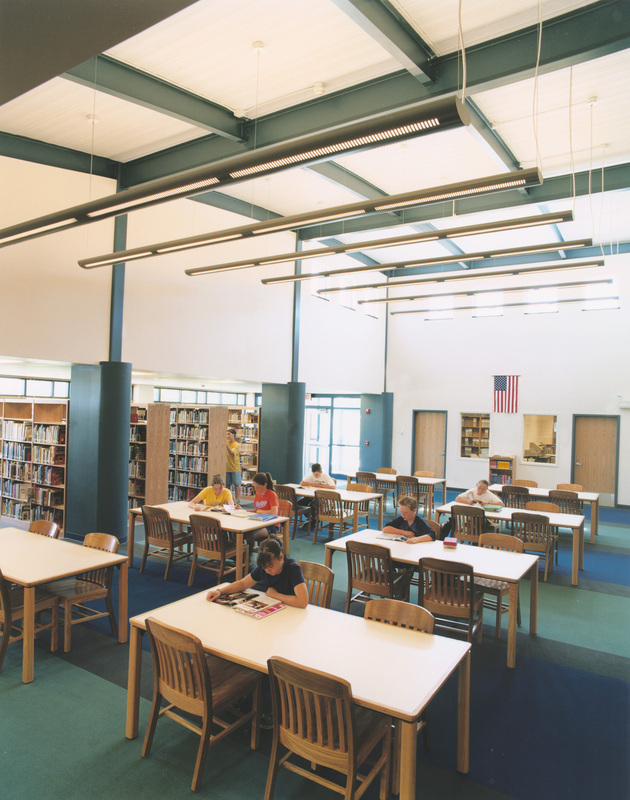 Music rooms were renovated and expanded, and a new secondary library was created. 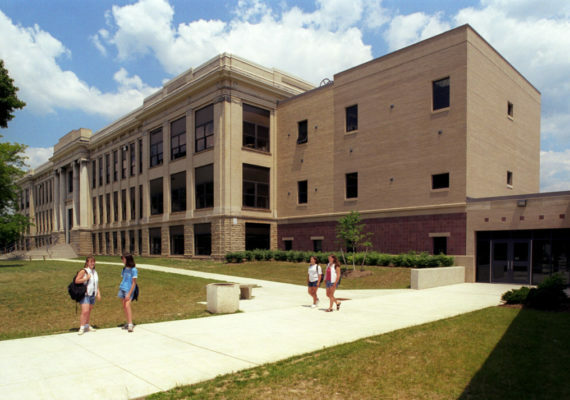 The middle school was separated from the high school and given a separate cafeteria served by a common kitchen. The elementary school was strengthened with a new bus entrance and four more classrooms. 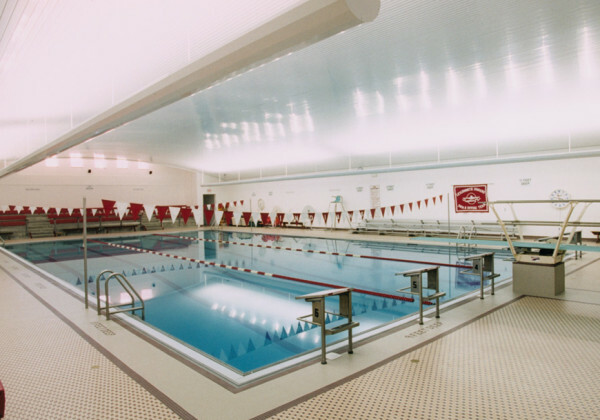 Other improvements include consolidating the mechanical systems into one boiler room and expanding the local-area network. 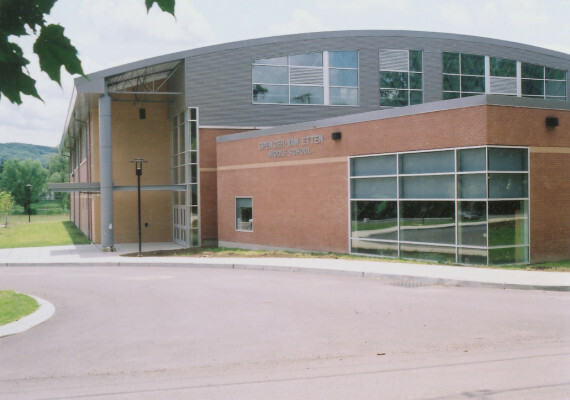 Vehicular circulation on the site was reorganized to increase safety, support the identity of each of the education programs with strong entrances, and minimize snow-removal costs on this exposed site.